Europe has a long tradition of awarding merit. Even if the orders and honours conferred by individual countries vary, even if their form has changed over the centuries and the circles of people they could be granted to has expanded, it has always been about the same thing: The recognition of demonstrated service. Recognition that comes neither in the form of material possessions nor in powers of authority. State honors bring their bearers honour and renown that cannot be compensated with either money or influence. The individual countries in Europe appreciate "honour and renown". It reflects particular national traditions, differing historical developments and cultural uniqueness. But it also is proof of an all-encompassing unifying element - the relationship between service and honours. The motto of the European Union, "In Varietate Concordia (Unity in Diversity)," holds true for faleristics as well. Honors and orders have gone through a long development. The once-exclusive insignia of closed knightly communities have gradually transformed, have grown more varied and have "democratised" into the forms of state honours accessible to all citizens. But they have maintained their exceptional character in awarding individual service conferred by the appropriate authority. Nowadays, orders and medals serve as a very necessary reminder to mass consumer democracies: Not everything important in this world can be bought, and not everything meaningful can be voted on. The term 'faleristics' is based on the Greek word phalera, which indicated the metal decorations on helmets. The Romans adopted the word from the Greeks as phaleare, a term for military honours worn on armour. The term faleristics developed from these words to mean the scientific field, auxiliary to historical science, which is concerned with the orders, medals and insignia conferred upon individuals or groups of people for merit in all fields of human endeavor. The most valuable visible decorations of merit are orders, which now exist in nearly all countries worldwide. Their birthplace, however, was Europe, in whose civilisational framework the originally spiritual-chivalric orders developed over the centuries into orders as decorations of merit. The first order societies began in the second half of the 11th century and were related to the military conflicts between Christianity and Islam in the Holy Land and on the Iberian Peninsula. The first society, the Sovereign Military Hospitaller Order of St. John of Jerusalem, was formed in the year 1059, in St John's Church in Jerusalem; it cared for pilgrims visiting the Holy Sepulcher and protected them with arms in hand. At the same time, the Military Order of Alcantara was formed as part of the reconquista taking place on the Iberian Peninsula. Other chivalric orders were formed later; in the Holy Land there were the Order of the Temple (the Templars), the Order of the Holy Sepulcher, and the Order of the Hospital of St Mary of Jerusalem (the Teutonic Knights). On the Iberian Peninsula there were the Military Order of Calatrava, the Order of St James of the Sword, the Order of St Benedict of Aviz and others. During the 12th century, the order movement expanded throughout Europe; in the Czech lands, the Knights of Malta, the Knights Templar and the Teutonic Knights were all established in that period. Influenced by the successful activities of religious-chivalric orders in the 14th and 15th centuries, European rulers started to surround themselves with the most faithful of their noblemen and decorated them with visible insignia. Order societies were also gradually founded, and membership in them was a symbol of merit and loyalty. In England, the Order of the Garter was founded in 1348, the Order of the Bath in 1399; in Savoy, the Order of the Collar in 1360; in Hungary, the Order of the Dragon in 1408; in Burgundy the Order of the Golden Fleece in 1430; in Denmark the Order of the Elephant in 1462 and in France, the Order of St Michael in 1469. As opposed to the religious-chivalric orders, their symbols were not limited to the cross only as a generic symbol of Christianity; mythological, exotic and fairy-tale figures began to appear. The new order societies were often named after Christian saints. With regard to the connection between order organisations and rulers, these orders gradually joined with dynasties, and some of these exist to this day as family orders. Another transformation of these orders occurred in the 18th century, when they ceased to be societies and became honours. The end of knighthood and the emergence of modern states with their extensive systems of officials, officers and diplomats led to the need to bestow the visible honours represented by the new orders. Bearers of orders are no longer accepted into order societies on the basis of merit, but now have the honour conferred upon them. Military orders were the first to be formed at that time - the Military Order of St Louis in France was founded in 1693; the Military Order of St Henry in Saxony in 1736; the Order of the Sword in Sweden in 1748; the Military Order of Merit in Prussia in 1740; the Military Order of Maria Theresa in Austria in 1757; the Military Order of St George in Russia in 1769. Along with the military orders, however, a number of orders for the appreciation of civil merit were formed in most countries at the same time - the Order of the Dannebrog in Denmark in 1671, the Order of the Red Eagle in Prussia in 1705, the Order of St Alexander Nevsky in 1725, the Royal Hungarian Order of St Stephen in 1764 and the Imperial Austrian Order of Leopold in 1808. Some of these order decorations kept some of the Christian saints' markings, but markings also began to appear according to their founders or according to symbols close to the reasons for the award. Moreover, these orders were also gradually structured into classes, so the variability of the award according to the importance of the merit also rose significantly. The definitive step toward modern honours was taken after the French Revolution by Napoleon Bonaparte, who in 1802 founded the Legion of Honour as a universal order of merit. The order was divided into five classes and individuals were honoured without regard to status, faith or state citizenship for merit shown in all spheres of human endeavour. The Legion of Honour became the first decoration of its type and in later years inspired heads of state and governments of countries worldwide to start similarly-conceived merit honours. Influenced by the Legion of Honour, dozens of order decorations were begun in the 19th century not only in Europe, but also in non-European states. After the end of World War I, the Legion of Honour became the model for the creation of honours in the new European countries; for example, in 1922, the order's rules were used in Czechoslovakia for the creation of the Order of the White Lion. The Legion of Honour became the model for the creation of similar honours in African and Asian countries in the second half of the 20th century. The order also strongly influenced European order decorations that already existed, and they were modified into universal orders of merit along the lines of the French model. In today's world, individual states' decorations of merit number in the thousands, and there are hundreds of orders. As a rule, they are conferred upon individuals, but sometimes they are conferred on organizations of various types (such as cities or military units) for their demonstrated merit. For this reason, these orders are a continuation of the chivalric tradition of service, which is illustrated by the motto of the Czech King John, "Ich dien! (I Serve!)." After the battle of Crecy, in which the blind ruler met a heroic death, this motto was handed over by the English King Edward III to his son, Edward, which was then included not only in the insignia of the Prince of Wales, but also as the motto on the badge and star of the British military group the Order of the Bath. National prides dictate that there shall be nearly as many stories about the origin of campaign medals as there are nations in existence. The Russians credit the genius of Peter the Great. Some French sources claim that Napoleon, with his magnificent ability to command the loyalty of men and to inspire high morale, was the first to award campaign medals in modern form. Other claims are similarly advanced, but careful scrutiny of all available documents and the surviving medals themselves seems to point clearly to British origin. This conclusion must be qualified in two ways, however. There were many medals struck or cast to commemorate victories prior to the earliest British campaign medals, but these were not designed to be worn. They were presented to churches or to the heads of allied or friendly states. The second qualification lies in the direction of distinctive colored sashes, sleeves, cords, streamers, and devices sewn in cloth upon uniforms. Throughout recorded history one may find examples of such badges being authorized for units in recognition of notable victories won. But these, like flags or pennants, must be separately considered. They have evolved modern counterparts which are not campaign medals. The first precursor of today's campaign medals was probably the "Ark in Flood," so called by collectors and antiquarians because the design on the reverse shows a wooden vessel of high freeboard, waterborne. It exists in both gold and silver, and is provided with a suspension ring. It seems to be a naval medal and was issued in the year 1588 in the reign of Elizabeth. The destruction of the Spanish Armada by Drake may have been the victory commemorated. The earliest documentary record of medals being awarded to all members of the victorious forces in any battle dates back to Cromwell and the Commonwealth. In 1650 Parliament authorized gold medals for all officers and silver medals for all men who participated in the Battle of Dunbar. These medals were also fitted with suspension ring? arranged as on the "Ark in Flood" medals. The Dunbar medals were definitely worn on the person, suspended from neck chains called "collars." England awarded many naval and some army medals to commanders during the 16th and early 17th Centuries, but these cannot be classed as campaign medals. True, they commemorated victories, but they seem to have been in the nature of decorations to individual commanders. Subordinate officers and men were not included. Military and naval thinkers early recognized the need for "all hands" awards. Naturally they were the first to think in terms of general morale. The general commanding the famous defense of Gibraltar dipped into his own pocket in 1782 to buy the medals he presented to all officers and men who served under him. Admiral Lord Nelson's prize agent, a Mr. Davidson, presented a medal to "every officer, seaman, and marine" who participated in the Battle of the Nile. Some doubt exists about the first medal to be suspended from a ribbon in the modern fashion, on the left breast. Sometime during the 16th Century the usage became general. The early medals were not provided with pins attached to their ribbons. Instead, the ribbon, doubled through the suspension ring, was merely folded over and pinned to the garment with a straight pin. Sometimes it was sewn in place. By 1810 the British government began to see the light. England was engaged in extensive operations against Napoleon on the Spanish peninsula, and the gold Peninsula Medal was authorized for all officers taking part in these battles. Though men were not yet included, this award clearly combined the commemorative concept with recognition of honorable service. It was authorized while the war was still in progress, and originally one medal was to be presented for each battle in which an officer took part. But the war stretched through several campaigns and many battles, and in time some officers had earned as many as nine or ten gold medals, all exactly alike except for the battle names inscribed on the reverse of each. This situation appeared ridiculous in view of previous practice. It also threatened to be very expensive to the crown. So in 1813 it was modified in two ways. The first modification was the authorization of clasps to be worn on suspension ribbons. The first battle earned the medal, and its name was duly inscribed on the reverse. The second and third battles earned clasps bearing their names. Thus was established the clasp precedent which today applies to the Victory Medal, the American Defense Service Medal, and the Navy Occupation Service Medal. The second modification was the authorization of a cross-shaped medal for participation in four battles. The name of one battle was inscribed on each arm of the cross, and clasps were awarded for subsequent engagements. The "Iron Duke" of Wellington was the commanding general and he was awarded "Peninsula Cross with nine clasps." In 1816 the first modern campaign medal was awarded in identical form to officers and men alike, at the suggestion of the Duke of Wellington. It was for the Battle of Waterloo, "to be conferred upon every officer, noncommissioned officer, and soldier present upon that memorable occasion." Ever since that date the British have adhered strictly to the campaign medal tradition. In 1861 Senator James W. Grimes of Iowa, chairman of the US Senate Naval Committee, introduced a bill which was passed by both Houses and approved by President Lincoln, and which established a Medal of Honor for enlisted men of the Navy — the first decoration formally authorized by the American Government to be worn as a badge of honor. The custom of giving identical campaign medals to admirals and seamen, generals and privates, has been called "... the most democratic of all military traditions." It seems strange that the infant United States of America did not take quickly to the idea. In fact, it was not until 1898 and the Spanish American War that the United States issued an all hands medal. Perhaps the citizenry of the young republic looked upon all medals as being too reminiscent of royalty. Perhaps, as the country matured, the continued public apathy toward military "trappings" made Congress cautious about spending money on medals for an army and a navy which barely existed between wars. Whatever the reasons, no campaign medals were authorized despite the pleas of professional army and navy officers. The Dewey Medal was the first. It was authorized by Congress less than one month after the Battle of Manila Bay, and was presented to all hands. Though it was more commemorative in concept than a campaign medal, it none the less established the precedent. Medals were authorized from time to time "to commemórate" various campaigns and expeditions. Following the British tradition, they were all "round, like a coin." They were all suspended from ribbons which were "of distinctive colors and designs heraldically symbolic of the campaigns they represented." For example, the red and white stripes outboard on the Asiatic-Pacific ribbon represent the colors of Japan. The green and brown background of the European-AfricanMiddle Eastern ribbon represents brown deserts and green fields, and the colors involved in the vertical stripes are our own, the German, and the Italian. While the heraldic tradition of colors still plays its part, today the dominant factor seems to be recognition. As the medals are all round and about the same size, it would be difficult to distinguish one from another except by close inspection if they were not suspended on distinctive ribbons. This recognition factor seems to have determined the relative widths and spacings of colors. The Great War brought on a few modifications of the tradition. The only service medal authorized by the United States was the Victory Medal. It was an international medal created by a board which met in Paris in 1919. The idea behind it was interesting. Aside from the thought that an identical medal issued by all countries would demonstrate the solidarity and close comradeship of the Allies, there was a little matter of money and administrative work. Previous to the first World War it had been customary among European countries to exchange campaign medals. In other words, every country awarded medals to its own soldiers and sailors, and in addition awarded the same medals to all the soldiers and sailors of all allied nations serving with their own forces in any given campaign or engagement! So the Victory Medal was a very happy idea for all concerned. Even though no international medal was created after World War II, the custom of allies exchanging medals has virtually died out. Actually the Victory Medal is not identical in all the allied countries. The commission found that it did not have time to make it so. The ribbon with its rainbow effect symbolizing all the colors of all the allies is identical, but only the general specifications of the medal itself were agreed upon. All nations agreed upon the diameter of the medal and its round shape. They also agreed that the obverse should have the "Winged Victory design—full face and full figure." But the reverse was a matter of some disagreement so it was finally decided that it should bear the inscription, "The Great War for Civilization" in the language of the issuing country and "either the names or arms of allied or associated nations." Terminology is far from standardized. Are they "service medals" or are they "campaign medals"? Some authorities class those covering an entire war or period of time as service medals and those for specific campaigns as campaign medals. There is really no clear cut distinction, as an examination of the official titles of the medals will quickly show. Another class of medals is generally referred to as "special commemorative medals" and includes the Peary Polar Expedition Medal, the NC-4 Medal, and the several Antarctic Expedition medals. The Good Conduct Medal is an individual award. As such it is more a decoration than a service medal, and it now ranks accordingly. It is doubtful that the terminology will ever become standardized, however. One reason is the continuing evolution of the campaign medal concept, and another is the confusion which exists with regard to decorations. 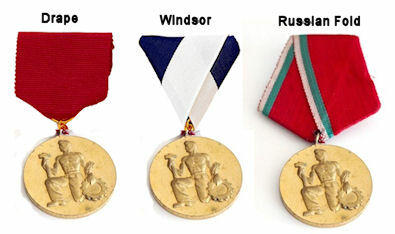 Many decorations are "medals" by official title. The majority of decorations are not round, but run to stars or crosses. But enough decorations are round to invalidate distinction on the basis of shape. The value of such recognition of honorable service is beyond dispute. Long years of experience and the spread of the campaign medal tradition throughout the world have proven that point. Campaign medals are morale builders. And they build service pride as well as personal morale.